In a previous lifetime, getting trained meant you were handed a three-ring binder crammed with a dizzying amount of material. Sounds very '90s, right? But, just recently, a friend of mine showed me the three-ring binder that was handed to him as part of a change management training. 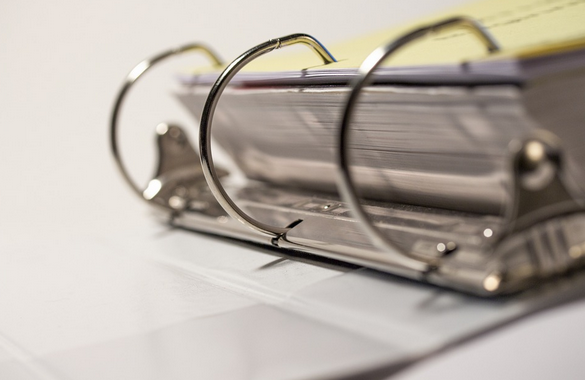 In a previous lifetime, getting trained meant you were handed a three-ring binder crammed with a dizzying amount of material and told to absorb it in the shortest amount of time possible. Sounds very ’90s, right? At least I thought so. But, just recently, a friend of mine who works for a national cable company showed me the three-ring binder that was handed to him as part of a change management training. Really? Is that enablement in today’s digital environment? A three-ring binder is a three-ring circus. I’m glad that my friend’s experience is not the norm in the world of software, and particularly at SAP. Most of us in high tech have been “e-learning” for more than a decade, and the experience is both rewarding and powerful. Solution providers will find that partnering with IT vendors that offer a complete enablement platform can help fuel growth and even improve employee retention. Our partners are a key part of our ongoing success at SAP. Their satisfaction is of paramount importance to us because we realize we are not what we are without them. But e-learning alone isn’t enough. An end-to-end enablement platform is the order of the day. But what does that mean? An on-demand platform provides not just the curriculum but also the interaction–delivering learning that’s scalable, flexible and on-demand, as well as social and perpetual. An enablement platform goes beyond e-learning and allows your staff to exchange ideas and information on the practical application of what they’ve learned–whether it’s with peers or teachers. I am really proud of SAP’s Digital Enablement Platform because it delivers a true end-to-end partner enablement experience. The platform pulls in several unique services into a seamless digital experience, so it’s easy and productive for partners. They go through our SAPPartnerEdge website to access content for all sorts of sales, presales and consultant information, so that they can be successful in their everyday work. There is also a full complement of marketing and demand generation training and campaigns for their use. They can chat online with their SAP partner service advisor and get their questions answered in real time on any topic partnership or product topic. They can also chat with other partners and share their experiences in our Learning Rooms, which are available 24×7. Besides the obvious cost savings of online enablement, our partners can track education and certification KPIs across their entire organization and ensure that their staff knows what they need to know in order to properly execute. A complete end-to-end enablement platform is what makes sense for learning in the digital economy. If someone tells you to check out their enablement session while handing you a three-ring binder, just run.